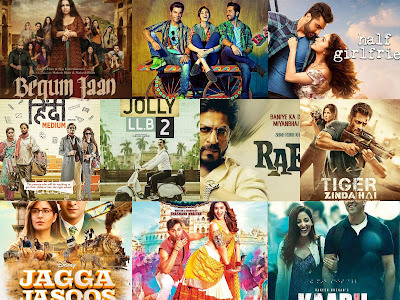 This year is memorable for shocking upsets like Kabir Khan directed Salmaan Khan's Tubelight, Imtiaz Ali directed Shah Rukh Khan & Anushka Sharma starring Jab Harry Met Sejal, Vidhya Balan's Begum Jaan, Vishal Bhardwaj directed Shahid Kapoor, Saif Ali Khan & Kangana Ranaut starring Rangoon are among 2017's big budget flops along with movies like Raabta, Machine, Ok Jaanu, etc. But few hits of some league breaking movies like Lipstick Under My Burkha, Secret Superstar, Anarkali of Aarah, Hindi Medium, Shubh Mangal Savdhan, Bareily Ki Barfi surprised everyone. Here is my list of Top 10 Movies of 2017. Feel free to give your suggestion in the comment section. 1. Jolly LLB 2: Sequel to 2013 Arshad Warsi staring Jolly LLB, this one staring Akshay Kumar is one notch higher than the first one which is a prerequisite for a sequel. Writer & director Subhash Kapoor has perfectly presented the courtroom drama in appealing and interesting way. The film not only gives entertainment but raise important questions on our judicial system. 2. 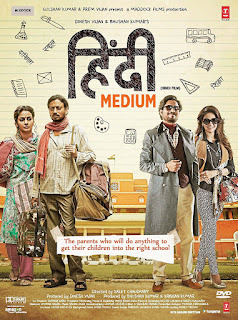 Hindi Medium: It's a social comedy staring Irrfan Khan and Saba Karim. The directer Saket Chaudhary point out the lapses and corruption in our education system which has made education just a luxury for elites and snatched a chance of better education from the poor. Irrfan Khan has beautifully portrayed his role in this film. 3. 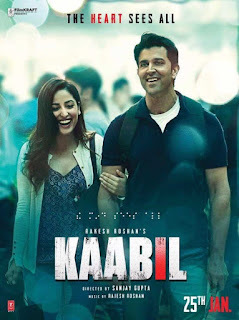 Kaabil: This film was ruled out as a hit by me from its trailer and promos but after seeing it Hrithik Roshan won my heart with his performance in the film. Blind man taking revenge of his wife's death looks impossible but the way it was shown by directer Sanjay Gupta it looks real and believable which for me made this film the part of this list. 4. 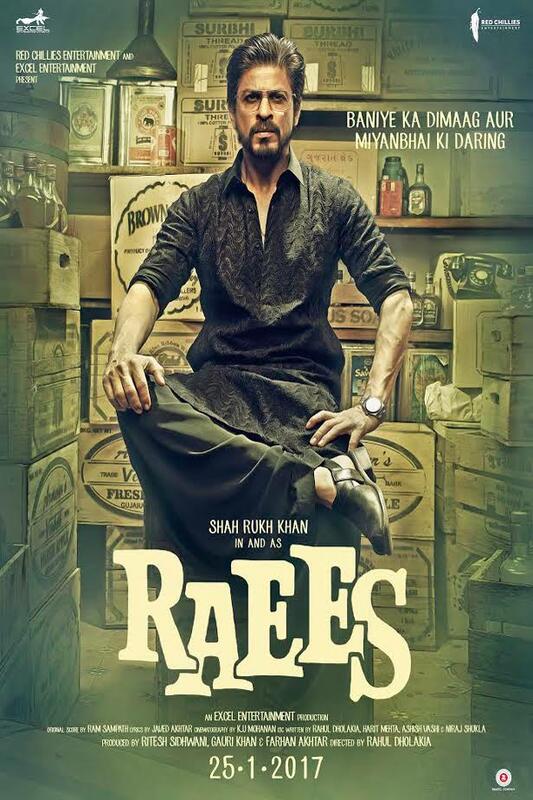 Raees: 'Baniye Ka Dimaag, Miyan Bhai Ki Daring' the dialogue was a hit even before film was released and another phrase 'Ammi Jaan Kehti Thi' was also become part of speech for many. Varun Dhawan even used it in his film Judwaa 2. 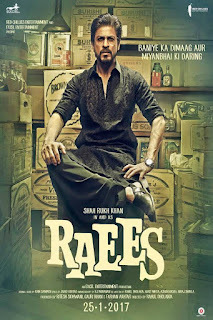 The star quality of Shah Rukh Khan was nicely used in this film to create charisma of the character he was portraying. Nawazuddin Siddique was impressive as a cop in it and Mahira Khan received the perfect Bollywood debut with this film. The director Rahul Dholakia did a fine job. 5. 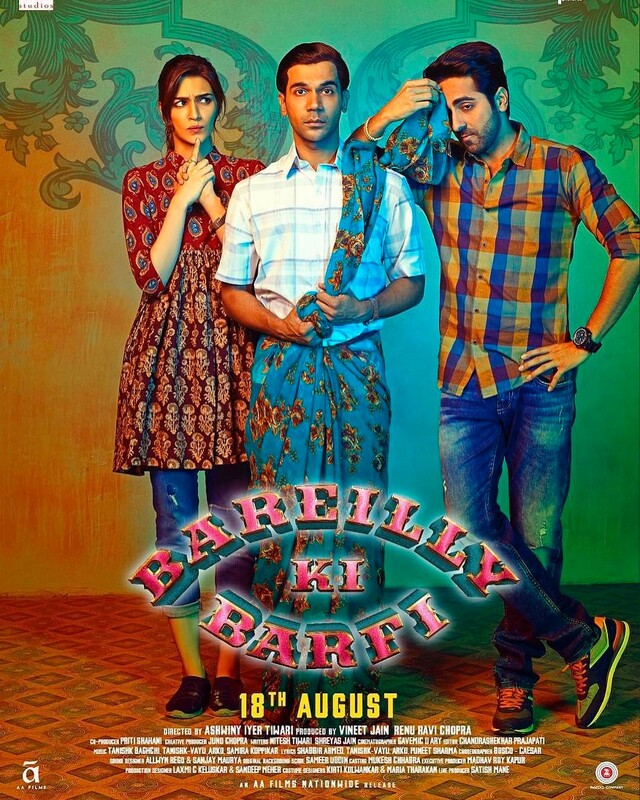 Bareilly Ki Barfi: Ayushmana Khurana again shines as a small town guy after Dum Laga Ke Haisha. He played a writer in the film but portrayed Rajkumar Rao as himself which starts all the confusion. Kirti Senon give justice to her role and Rajkumar Rao was perfect in this type of commercial film also. 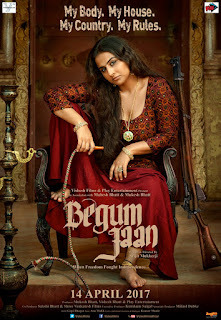 Credits to Ashwiny Iyer Tiwari for keeping this film interesting and entertaining. 6. 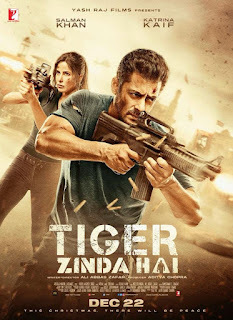 Tiger Zinda Hai: Yes this film sells Salmaan Khan and his chemistry with Katrina Kaif but Ali Abbas Zafar made a perfect sequel to the film whose prequel he hasn't directed by him. The RAW & ISI which were searching the absconding agents in the first part come together for a mission first time in this movie. Great action sequences and the course of story which looks believable made this film part of the list. 7. Half Girlfriend: Film is based on the Chetan Bhagat's novel of the same name. Mohit Suri who usually make incomplete love stories made lead characters Arjun Kapoor & Shraddha Kapoor to come together in the end. The film is more interesting than the novel and the beautiful songs were addition to its flavors. 8. 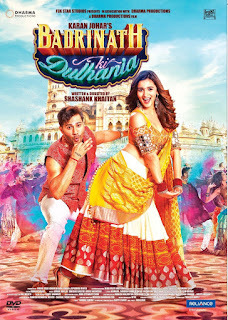 Badrinath Ki Dulhaniya: Seriously Badrinath Ki Dulhaniya was lower in expectations from the first installation of the series Humpty Sharma Ki Dulhaniya. Directer Shashank Khaitan has failed to bring out the romance between the lead characters Varun Dhawan & Alia Bhatt but the film was good, enjoyable and entertaining. Foot tapping songs like Tamma-Tamma, Title track and Aashiq Surrender Hua helped in the promotion of the film. 9. Begum Jaan: The film was a flop but I have chosen it for the story and performances of the lead cast. Written & directed by Srijit Mukherjee the story has a feel of the kinds of Ismat Chugtai & Sadat Hasan Manto. The period drama moves around partition and a brothel run by Vidhya Balan which came in between the border line. It reminds me of Toba Tek Singh a short story by Sadat Hasan Manto in which a mental asylum was divided by the partition. 10. Jagga Jasoos: Including another flop in this list because it was entertaining for me. 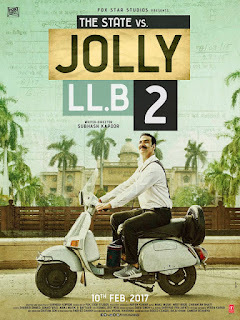 Directer Anurag Basu has given this film a comic book type look which is first time for a Hindi film. 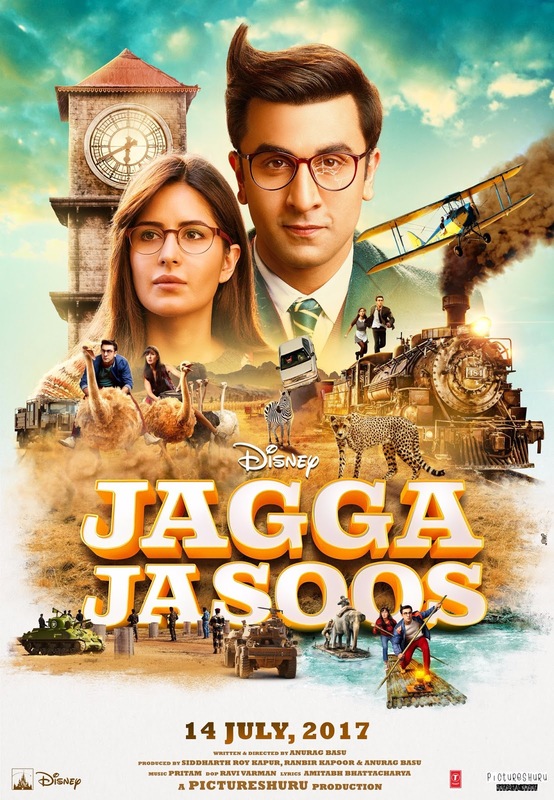 Lyrical dialogues by the protagonist Ranbir Kapoor is brilliantly done. It was not boring at all but I think didn't work because it has a complex story line which don't appeal in the first go. Many other films like Phillauri, Mom, Babumoshai Bandookbaaz, Secret Superstar, Golmaal Again, Firangi, Anarkali of Aarah, Toilet-Ek Prem Katha, Bahubali 2 were also under consideration before making this list. Looking forward to 2.0, Pad Man, Aiyaary, Hichki, Veera Di Wedding, Race 3, Fanney Khan, Thugs of Hindustan, Super 30, SRK's unnamed and many more. Hope some of these make into the next years list of Best 10 films of the year. Hindi Medium, Tiger Zinda Hai, Raees and Jolly LLB stands out. I've missed Bareilly ki Barfi and last year belonged to meaningful cinema. Heart warming to see good stories triumph. Happy New Year. 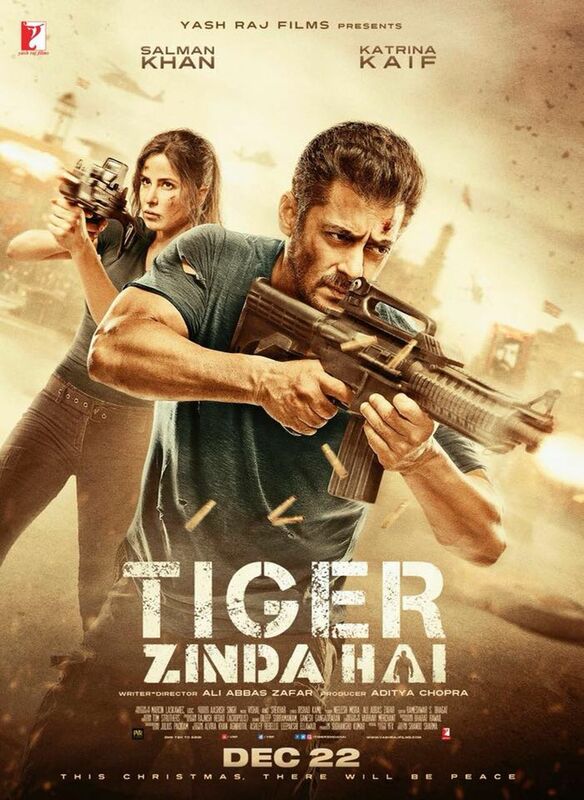 Among all these i liked "Jolly LLB2" most, watched Bengali version of "Begum Jaan",yet to watch "Tiger Zinda Hai".